Photographs taken by Captain Scott on his final expedition to the South Pole have been saved for the nation thanks to £704,000 lottery grant. Thought to be lost for more than 70 years, the 109 photographs give a view of the Antarctic as seen through Captain Scott’s eyes as he documented the first part of his epic journey to the South Pole. 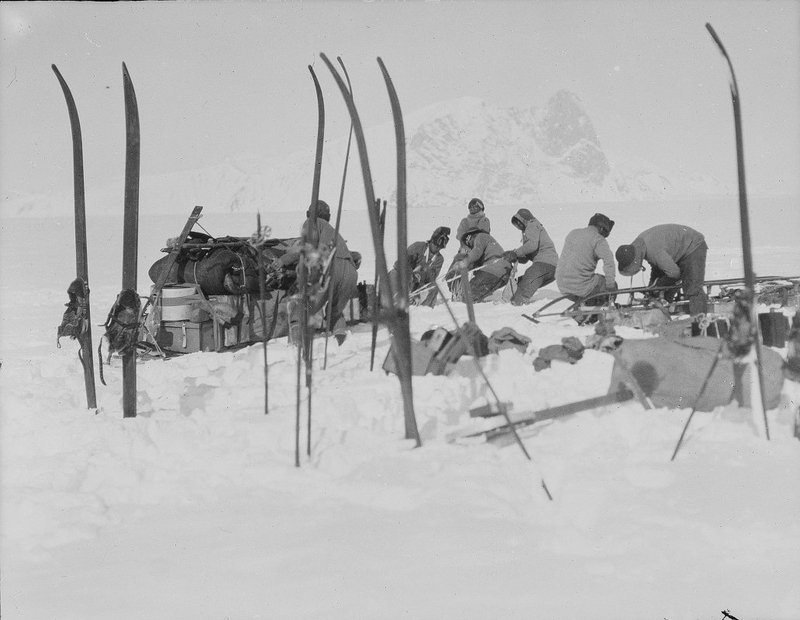 Subjects include his companions, the ponies and sledges, the scientific work they were undertaking and the breathtaking Antarctic landscape. Professor Julian Dowdeswell, Director of the Scott Polar Research Institute, said: “Scott’s photographs bring to life, in vivid detail, his party’s sledging journey into the interior of Antarctica. “From men and ponies struggling through deep snow, to panoramas of the Transantarctic Mountains, the images are very powerful. “They are a superb complement to the Antarctic photographs of Herbert Ponting, which the Heritage Lottery Fund also helped us to acquire”. It is 100 years this year since his expedition reached the South Pole. Captain Scott was taught photography by the official expedition photographer, Herbert Ponting, and the collection charts his first attempts through to the remarkable images he captured on the first part of the Polar journey to the head of the Beardmore Glacier. The photographs were printed in the Antarctic by members of the expedition team as they waited for his return from the Pole, and Captain Scott never saw them. Thanks to a previous HLF award, the original 1,700 glass-plate negatives of Herbert Ponting’s photographs were bought by SPRI in 2004. The acquisition of Scott’s own photographs brings the two collections together for the first time, making this the largest photographic record of the British Antarctic Expedition 1910 – 1912. The purchase of the photographs by SPRI will allow the images to be reunited with Scott’s camera, which was given to the Institute by the late Lady Philippa Scott in 2008. Once they have been fully conserved, the photographs will be digitised and made available online. The British Antarctic (Terra Nova) Expedition was led by Captain Robert Falcon Scott RN with the twin objectives of being the first to reach the geographical South Pole and to undertake scientific research on the Antarctic environment. Scott and four companions attained the pole on 17 January 1912, to find that a Norwegian team led by Roald Amundsen had preceded them by 34 days. Scott’s entire party died on the return journey from the pole. Some of their bodies, journals, and personal effects were discovered by a search party eight months later. Captain Scott’s photographs were developed in the Antarctic by the geologist, Frank Debenham, who later became the founding Director of SPRI. The images were returned to the UK by members of the expedition in 1913 and it was intended that they be used to illustrate books, reports and lectures; however, difficulties with establishing copyright meant that only a handful were ever used. The First World War intervened and confusion over ownership was never resolved, any remaining negatives were lost and the prints passed to Herbert Ponting. On Ponting’s death in 1935 the prints were sold to the photographic agency Popperfoto, who in turn sold them at auction in New York in 2001 and they have remained in private hands ever since. The images were recently published in a book entitled ‘The Lost Photographs of Captain Scott’ by David Wilson, great-nephew of Edward Wilson who died with Scott.